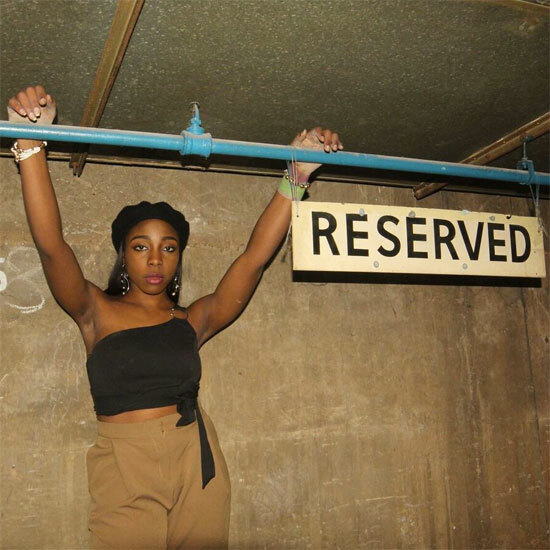 London-based, Nigeria-born artist Nissi is trying to secure a place on your playlist with her new single "Favourite List." After bouncing onto the music scene in 2016 with her debut track "Pay Attention," the singer, songwriter, musician and painter continues to hold our attention with her music. "Favourite List" follows hot on the heels of the release of the music video for her song "Familiar" in February, and now Nissi exclusively world premieres her latest jam on SoulBounce today. Described as "jazz soul," "Favourite List" does indeed blend the two genres flawlessly. Beginning with a piano intro peppered with upright bass, brass, finger snaps and percussion, the track initially sounds like it's going to be a mellow-smooth jazz song before switching to a more upbeat, festive tempo about a minute in. Producers Cornel Sorian and JoeBagz create a sound bed reminiscent of Carlos Santana and The Product G&B's "Maria Maria" that would mix perfectly into DJ Khaled, Rihanna and Bryson Tiller's "Wild Thoughts" at a party. Nissi expresses her thoughts about a loved one throughout "Favourite List." "Don't let them tell you anything different, baby / You know you're at the top of my favourite list," she assures the subject of her lyrics on the chorus. "Never let my love run away cause of what he or she says / They just want to steal your light / They don't want to see us shine," she continues on the second verse, shaking the haters and naysayers off. Nissi was inspired to write "Favourite List" during a trip home to visit her framily. “I created this song the last time I was in my hometown Port Harcourt, literally surrounded by all the people I started my music journey with, in one room, just feeding off each others energy," she tells us. Although she's singing to one person on the song's surface, it actually has a deeper meaning. "The inner layers of the song go back to my music and art, the people around me, and my biased admiration for imperfect love matches, that above all things, are what real life is about." We're happy that her tribe's vibe led Nissi to pen such a loving and fun song. After you get your groove on to "Favourite List," keep the party going and watch the music video for "Familiar." After this double dose of hotness, be sure to connect with Nissi on Facebook, Twitter, Instagram and SoundCloud so that you don't miss a beat.